Decker Intellectual Properties provides quick and accurate clinical information with databases in a variety of medical disciplines such as Medicine, Surgery, Emergency Medicine, Psychiatry, Neurology, Gastroenterology and much more, with even more disciplines to come. The rate of increase of medical knowledge places an enormous burden on physicians to keep up with recent advances, particularly in innovative therapies that will improve patient outcomes. 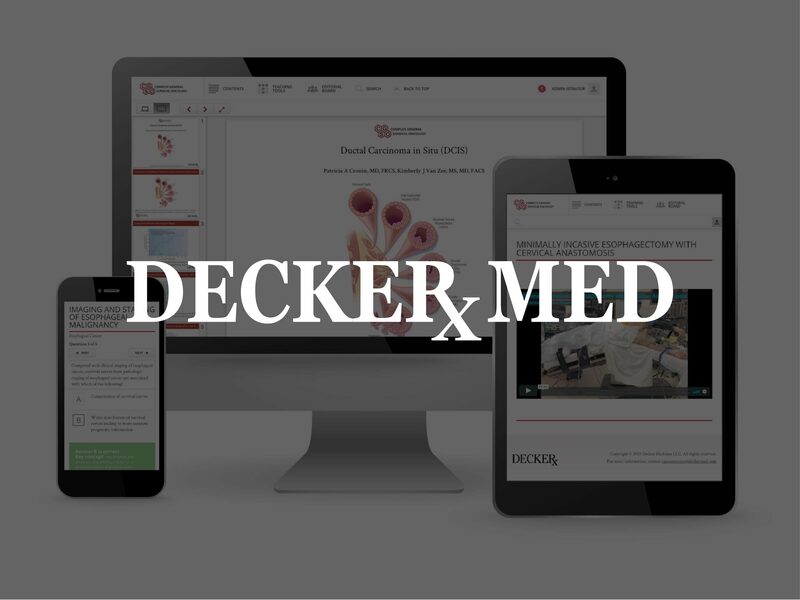 Decker’s products deliver content in an easily accessible format of current information that covers a practical clinical approach to the diagnosis, examination and treatment of common medical conditions that physicians face regularly. The burden of information overload today makes this initiative to join innovative technology with an ever-increasing demand of quick, accurate clinical information a necessity, and Decker’s products satisfy that unfulfilled need. In addition to Decker database titles available on the STAT!Ref platform, Decker offers a teaching tool called Weekly Curriculum for each of the disciplines noted above. Weekly Curriculum also includes Board Review, a series of digital tools for testing residents and fellows as they prepare for their board examinations. 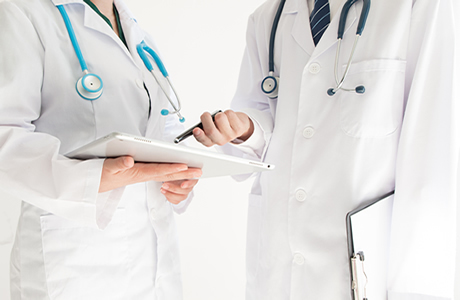 Board Review provides the long-suffering resident with the perfect and most convenient means of measuring and honing knowledge in their specialty, with a singular focus on passing the written Boards. Every program is unique and all residents learn differently. Board Review has custom settings for programs to train and prepare as they wish. In "Practice mode," exercises reveal correct and incorrect answers plus score tracking. "Exam mode" emulates the actual exam experience, hiding all correct and incorrect answers. Score tracker allows residents to mark questions "For Review." Board Review comes with personal and private logbooks for each resident to track their progress, and see their scores broken down by category and topic. For the Program Director, the PDs Portal offers quick yet elaborate metrics reviewing individual scores and progress, as well as the "big picture." A component of Weekly Curriculum, Teaching Slide Library is an easy to use and customizable presentation slide set featuring graphics and images, including decision-making and procedural algorithms, illustrations, clinical photos, micrographs, tables, CT scans, MRI, charts and more. Teaching Slide Library is an ideal reference tool, available in ready-made downloadable PowerPoint presentations. Teaching Slide Library is an easy to use and customizable presentation slide set featuring graphics and images, including decision-making and procedural algorithms, illustrations, clinical photos, micrographs, tables, CT scans, MRI, charts and more. Teaching Slide Library is an ideal reference tool, available in ready-made downloadable PowerPoint presentations. Users can obtain AMA PRA Category 1 Credits™ with a subscription to Decker Weekly Curriculum or Clerkship products and find out how easy it is to manage CME. Users can start and stop tests when they want, resume them later on, and retake them as often as they need. Upon successful completion, users are able to print out their CME certificate or manage the credits from their logbook and print the certificates later when they need them. The process is simple. Depending on the Weekly Curriculum or Clerkship package purchased, included are either of the following: Best Vx/Rx or Best Dx/Rx. Best Vx/Rx is a point of care tool with video-enhanced modules that includes 30-60 second videos of patients displaying signs/symptoms, tests, diseases/disorders and case studies. Best Dx/Rx is a point of care tool that offers modules on disorders derived from the patient care recommendations in Decker content databases.